Lemon pepper is one of my favorite seasonings. But I had no idea that lemon pepper could be THIS good until I started making my own. Maybe it’s freshness. Maybe it’s the hint of onion, garlic and celery. But I’m guessing the secret ingredient that gets this rocking is homemade lemon zest. Easy to make. Heavenly scent. And so many uses, we are really only beginning here. So let’s begin. Combine all the ingredients in a small bowl and stir well. Store in an airtight jar. Makes about half a cup. I make my own lemon zest in a very simple way. First, I wash each lemon in warm water combined with a good splash of white vinegar. This should remove any pesticide residue, wax, or contaminants. Rinse and dry. You will notice a different “feel” to the lemon immediately; the surface will be cleaner, lighter and less waxy. You can use a fine steel grater to pare away the lemon rind from the white layer of pith below it. 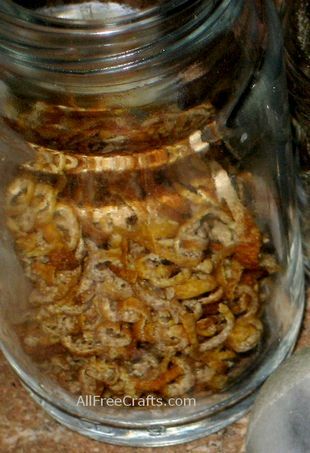 This produces tiny, fine curls of lemon zest that can then be used fresh, or dried, depending on recipe requirements. Or you can use a sharp knife or vegetable peeler capable of cutting a thin layer of rind from the white pith beneath. After you’ve peeled the lemon, take the peel and cut it into manageable lengths. I cut mine into pieces about two inches long. Next, take each piece and cut it again, this time into very thin strips. Set the strips in a single layer on a paper towel and let air dry for a day or two, or until the strips dry up and curl. 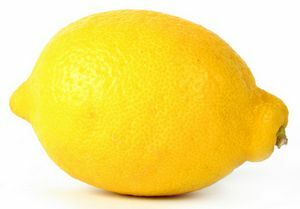 At this point, you can break up the lemon zest into even smaller pieces, if necessary, and store it in an airtight jar. 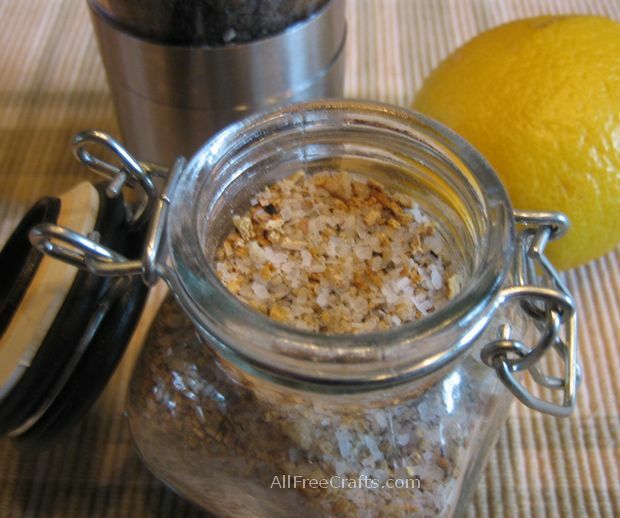 For some recipes, including homemade lemon pepper, you’ll want to grind the lemon zest into a granule consistency. 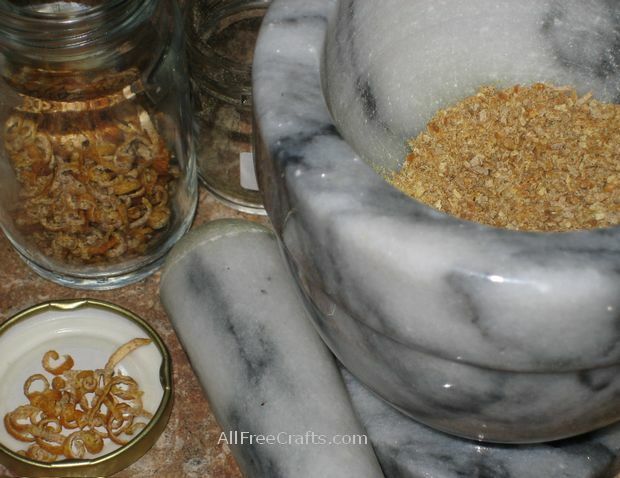 You can do this with a mortar and pestle, a spice grinder, or even put a small amount of dried peels into a small dish and crush it with the back of a spoon. 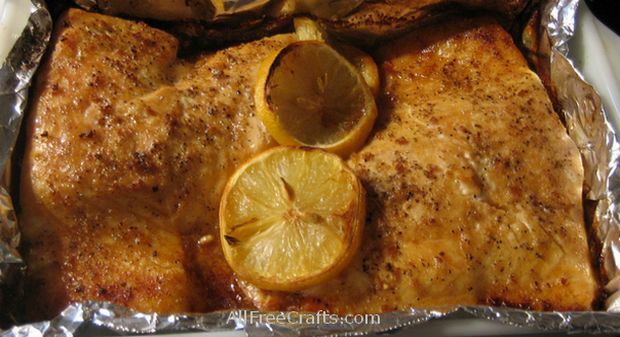 Sprinkle lemon pepper seasoning, before cooking, on fish dishes, chicken, pork, or steak. It’s also wonderful on sliced tomatoes or zucchini and peps up steamed vegetables such as broccoli, brussel sprouts, or asparagus. Try it on with butter on corn on the cob or popcorn; alone, on cottage cheese or canteloupe. Top salad or baked potatoes with lemon pepper for a tangy zip without the calories. All the popular recipe sites have well-reviewed recipes using lemon pepper, or you can do a google search for lemon pepper combined with any main ingredient that you fancy for dinner tonight. To get you started, here’s an excellent way of flavoring salmon using homemade lemon pepper. » Salmon fillets sufficient for four people. I used two large fillets which I had on hand; plenty for four people, plus some left over for next day sandwiches. Four smaller fillets would also be fine. Line a baking dish or pan with foil; spray with non-stick cooking spray or lightly grease with butter or oil. Place salmon on foil and pour butter/soy sauce mixture evenly over fish. Sprinkle all over with homemade lemon pepper seasoning. If desired, top salmon with slices of lemon. You can broil the fish for 6 to 8 minutes, until fish crisps a little on the thinner edges and flakes easily in the middle when prodded with a fork. Or you can bake it, covered, at 350° for 25 to 30 minutes, or at 450° for 15 to 20 minutes, removing cover and basting salmon with juices from bottom of the pan, then baking or broiling for the last few minutes of cooking. Test fish by prodding gently with a fork. When it flakes easily, remove from the oven and serve. Serve with side dishes of steamed veggies and rice. Garnish with fresh lemon slices.